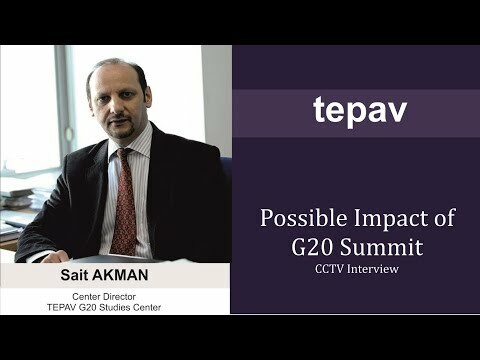 TEPAV closely follows the developments pertinent to G20, a prominent forum on international economic cooperation. TEPAV intensified its studies about G20 especailly following Turkey’s presidency term in 2015. The G20 Studies Center was established thereof,; in order to follow the developments in G20 meetings; to analyse the ssues from an academic perspective and to provide assistance to policy-making. The center resumed its programme in October 2014 and since then has been the unique venue for G20 studies in Turkey. T20 (Think20) is one of the outreach groups established under G20 fora. TEPAV was selected in Turkey as the official think-tank to coordinate, organise and chair activities to be held during Turkey’s presidency in 2015. Following Turkey’s takeover of the term presidency, the inauguration meeting of T20 was held witha wider participation of the network of think-tanks in February 2015, in Istanbul. The Center established an effective and sustainable T20 network comprising leading think-tanks from different parts of the world. The global think-tanks are expected to make in-depth analysis; to produce ideas; and to assist G20 in formulating robust and sustainable policy proposals in areas relevant to its agenda. In this context, the think-tanks converged under T20 aim at forming platform of an ‘bank of ideas’. TEPAV Center for G20 Studies organized several activities, produced publications and made proposals and advocated concrete policy measures under T20 together with over 50 partner organizations from more than 20 countries, regarding all G20 topics. The Center, also chaired the national advisory council of domestic think-tanks. T20 organized T20 summit meeting during G20 Antalya Summit in November 2015. TEPAV G20 Studies Center also provided content for the operation of B20 (Business20) coordinated by the steering committee chaired by TOBB (The Union of Chambers and Commodity Exchanges of Turkey). Hence the Center closely follows the B20 activities. This extends the tasks of the Center in areas governed by other G20 engagement groups. The Center handed over the chairmanship of T20 to its partner organizations, namely Renmin University RDYC, SIIS and CASS for Chinese presidency term. The Center currently goes on to implement joint activities and studies with T20 partners under Troika format. 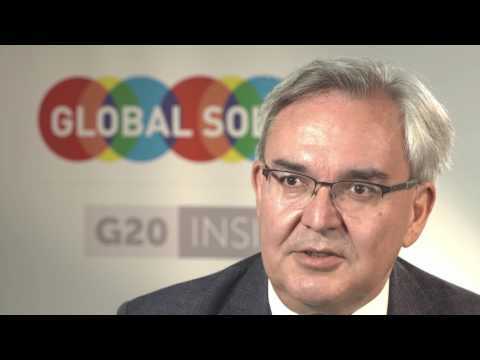 What Did the G20 Accomplish During China's Presidency? Beliefs, Institutions, and Learning: Towards A New Order in the New Global Economy? TEPAV : "Istanbul Decisions Are Of Great Importance For Turkey"
"TEPAV: G20 Summit is a Medium Term Opportunity for Turkey"
The ideas expressed on this site are solely the opinions of the author(s)and do not necessarily represent the opinions of TEPAV.